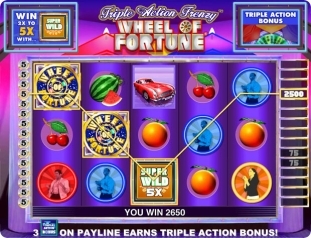 Play Wolf Run, Wheel of Fortune, Cleopatra, Cleopatra II, Monopoly slots! Slot players worldwide love the IGT slots including favorites like Enchanted Unicorn, Wolf Run, Cleopatra, Cleopatra II, Coyote Moon, Monopoly, Texas Tea, Star Trek and Wheel of Fortune. In all IGT has over 80 slots in 15 languages and 32 currencies. Unfortunately, the casinos that offer these IGT fun slots are limited in which countries are allowed to play either for fun or real and the list seems to grow with each new regulation. If you're looking to play the IGT slots and you're from the UK, AU and EU then you can play any casino offering all the game brands including the fun IGT slots. Other countries need to check with the casino's live help before registering or simple try and register and see if you can. You can also try our Free IGT slots and if you can play then you can register and play for real. 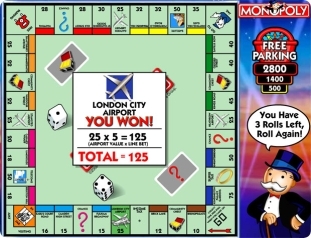 Because many casinos offer co-branding, (games from various platforms) you may be able to play for fun or real some of the slots but not others. For example, if the Casino offers Microgaming slots and IGT slots, Canadian players may be allowed to play the Microgaming slots but not IGT slots. Unfortunately, USA or Canadian players can't play any of IGT slots. You can review other casino options in our Recommended Online Casinos. 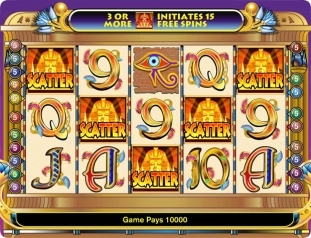 • Spin and Win Casino - includes over 500 games from IGT, Microgaming, Daub Games and Sheriff Gaming including many favorites IGT slots like Cleopatra, Cleopatra II, Coyote Moon, Monopoly, Kity Glitter, Rainbow Riches and Wolf Run to name a few. New player promos includes 200% bonus on the first deposit and 100% bonus on the second deposit. Deposits start at only £10. Get 5-15% free cashaback on your deposits every friday. The cashback bonus is only good for a few days so make sure you use. Spin and Win features a multi-level loyalty program and a daily slot tournaments. Deposit methods include Maestro, Mastercard, Solo/Switch, Visa, Visa Delta, Visa Electron and Neteller. Who Can Play? Spin and Win welcomes players from Australia, Canada, UK and Europe. No USA players fun or real. Visit Spin and Win Casino to claim 200% bonus! • Mr. Green Casino - offers an amazing of collection of over 200 slots and casino games from leading brands Betsoft, IGT, Net Entertainment and Microgaming. Mr. Green Casino is entirely flash based so no download is required. You can play the games right in your browser. 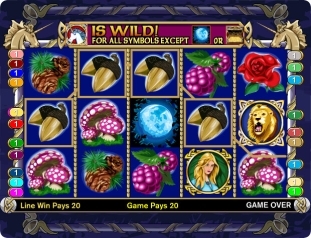 Play favorites like Wolf Run, Enchanted Unicorn, Monopoly, Cleopatra, Siberian Storm, Grand Monarch, Jack and the Beanstalk, Kitty Glitter, Wheel of Fortune, Da Vinci Diamonds, Blood Suckers, Rainbow Riches, Super Hoot Loot, Texas Tea, The 50,000 Pyramid and a great collection of the Betsoft 3D slots. Mr. Green features 8 diffferent styles of Roulette including High Roller Roulette and Expert Roulette, 20 different poker games, 11 blackjack games, 17 Scratch Ticket games. Mr. Green includes some classics table and specialty like Baccarat, Craps, Bingo, Keno and Racing games. At Mr. Green you could win a large jackpot playing your favorite slots like Mega Fortune, Megajackpots Cleopatra, Megajackpots Monopoly, Megajackpots Cluedo, Arabian Nights, 25 jackpot games in all. UK players can receive a 100% welcome bonus up to £250 plus extras listed on the monthly advent calendar. Who Can Play? Mr. Green welcomes players worldwide including Canada, Australia, United Kingdom, Europe, Sweden, Norway, Finland, Germany, Austria, Argentina, Greece, Italy and the Netherlands for real money play. Check with Mr. Green Casino support to see if your country is allowed. Mr. Green does not accept any USA real money players. Deposit Methods: Deposit with Visa, Mastercard, Visa Debit, Visa Electron, Maestro, Laser, Moneybookers (Skrill), Paysafecard, Entropay, NETeller. There is 24/7 email, telephone support. Mr. Green has been online since 2008. Visit Mr. Green Casino to start playing your favorite land slots online. Download the Winning at the Slots Free Online Casino Guide in either Adobe PDF or MSWord format. Signup is optional! Webmasters: Join the Winning at the Slots affiliate program. It's free to join and you can earn a 75% commission. Slot Games © IGT® and licensed to WagerWorks, an IGT® company.